What does it mean to be thankful as a Muslim? Does it have to mean something different than it does for other people? Personally, I think the concept of “Thanksgiving” (if we’re not talking about the horrendous background of the holiday), is a great one. I don’t see an issue celebrating it as a Muslim, whereas some Muslims don’t like celebrating it. Both choices are fine, but being thankful is a concept that circulates all around the world. We all preach about it, but sometimes it’s hard to hold ourselves accountable in actually being grateful. So what does being thankful look like in Islam? Overall, I think it has to do with the way we carry ourselves, and the way we act towards others. Every day we wake up is something to be thankful for, because it could be easily taken away from us at any moment. And while being thankful benefits us in the end, it is also very much for Allah (swt). It is one of the things God expects of us. By being thankful, we are being responsive to Allah (swt), and in turn, He will be responsive to us in the form of good tidings. As a Muslim, one of our biggest duties is to be grateful to Allah (swt) and for all He has provided for us. He wants us to show Him that we acknowledge what we have been given, and that no matter how life goes, we’ll find something to be thankful for anyway. Some say there are three levels of thankfulness in Islam: to realize and appreciate all blessings within the heart (usually in the form of prayer), to actually say thanks in tongue, and to express gratitude by performing good deeds and essentially giving someone else something to be thankful for. Prayer is one of the five pillars of Islam; something we have to do five times per day. One simple way we can show we are thankful is by continuing to perform these prayers. During prayer, we thank Allah for everything we have, we pray for other things we aspire to have or achieve, and we pray for our friends and family and the world. But honestly, I think the most important component of it is being thankful, because with thankfulness comes great things. When you show you’re thankful, you will be rewarded with more. As stated above, another level of thankfulness in Islam is by speaking your thankfulness. Anyone can do this of course – just as anyone can pray in their own ways, not just Muslims – but we Muslims have a special saying that we use fairly often to express gratitude in every day conversation. We say Alhamdullilah as a response to many phrases, such as “How are you?” Instead of answering with, “I’m alright”, we say Alhamdullilah, which literally translates to “All Praise be to God.” We are actually supposed to utter Alhamdullilah many times per day, after most things we do. That way, no matter what happens during our day, we’re expressing that we are at peace with what we receive, because God gave it to us. The last level of thankfulness in Islam is said to be performing good deeds. Good deeds are a huge part of Islam, and go hand-in-hand with the Islamic belief that we should treat others with respect, no matter who they are. Doing good deeds gives you hasana (rewards), and shows God (swt) that you are content with what you have because you are willing to do something kind for someone else, instead of yourself. Apart from these levels of thankfulness, there are plenty more aspects to thankfulness in Islam, and plenty more ways you can show you’re thankful. The website, Why Islam, wrote a simple article on The Concept of Thankfulness in Islam as well, and in it they remind us of a line from the Qur’an that reads, “Why should God make you suffer torment if you are thankful and believe in Him? God always rewards gratitude and He knows everything,” (Qur’an 4:147). Honestly, if nothing else, we Muslims show gratitude because we know it’s the right thing to do in order to keep receiving good things. But we have to be true in our feelings, because again, God knows all, and He knows our true intentions no matter what. He doesn’t need to be proven anything – all He asks of us is for our benefit. He just wants us to prove what He already knows. One way not mentioned yet is to read Qur’an. Islam is a way of life, and the Qur’an provides that guidance. Read Qur’an when you have free time, before you go to bed, when you wake up in the morning, etc. By utilizing His text, you are showing God that you are thankful for sending it down to guide you. Observing Ramadan (the month of fasting) is also a perfect way to show God that you are thankful. During Ramadan, we live off the bare minimum, and try to abstain from being caught up in worldly things. We don’t eat, or drink nearly as much as we usually do, and we pray even more than we usually do. We do all this, in part, because we are showing God that even without all the usual things that fill our days, we are still satisfied with our lives, and can thrive just as well. We also realize just how much we have, and how different our lives feel without all of it, making us grateful that the fast only has to last 30 days for us, while for some, it’s their constant reality. One last way that we can show gratitude as Muslims, is by living each day to the fullest. As I said before, our lives can be taken away jin the blink of an eye. If there is something we wish to do, in a sense, there is no time to wait. We are allowed to be patient with ourselves, but we must realize that no more days are promised. By pushing things off, and wasting our days, we are essentially wasting the glorious life God has placed us in. By not taking advantage of all the opportunities and resources we have, we are indirectly telling God that what we have isn’t good enough to work with, or engage in. We must constantly remind ourselves that we have so much more than some others do, and that even if we want more, what we have is sufficient for the time being, and will be put to use. Because just like our lives, God can take anything that we have, away from us as well, and soon we might be the less fortunate people we were thinking of before. But by being thankful, we are more likely to multiply the good things we have instead. Just writing this article made me register how ungrateful I can sometimes be. I hope this article reminds you to pray, speak about what you are thankful for – even if you are talking out loud to yourself and God – and do more good deeds, no matter how small. God sees, and knows everything, and everything is taken into account. I hope you remember to live each day to the fullest, and remind others why you’re thankful that they’re in your life. 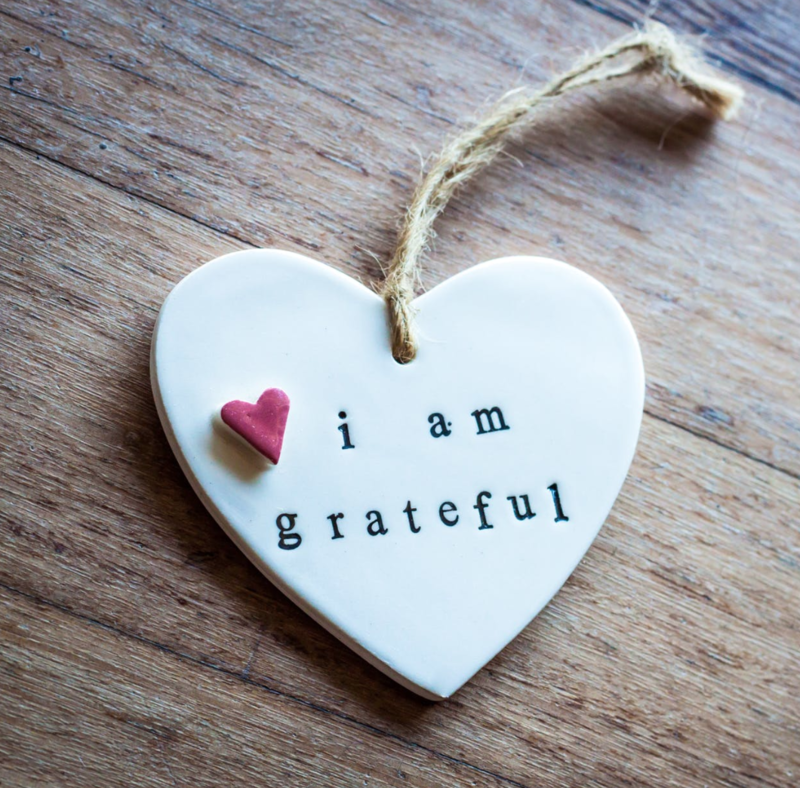 I hope you can find at least one thing to feel gratitude for every single day.